Goalie controversy in Calgary? There shouldn't be - The Point Data-driven hockey storytelling that gets right to the point. Going into the season, Calgary’s goalie situation seemed pretty straightforward. 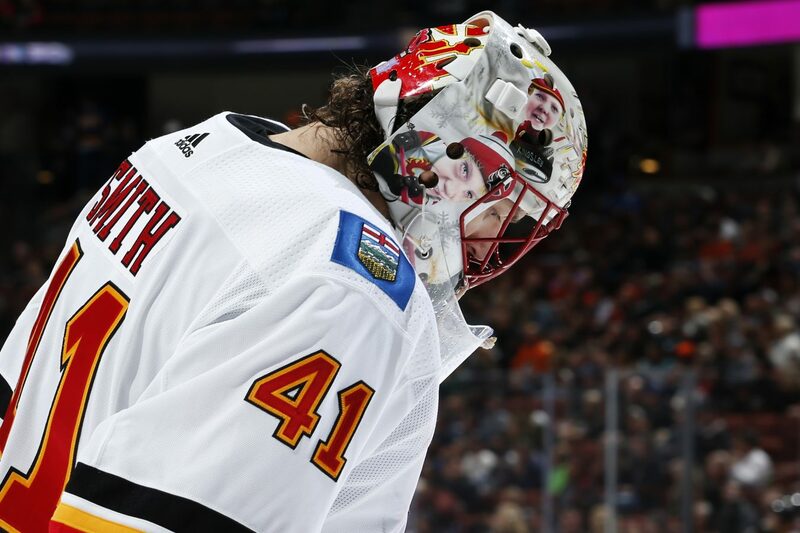 Veteran Mike Smith was expected to take the majority of starts, just like he did in six of his previous seven seasons, with David Rittich backing him up. So far, the workload distribution is showing exactly that, with Smith starting twice as many games as Rittich. 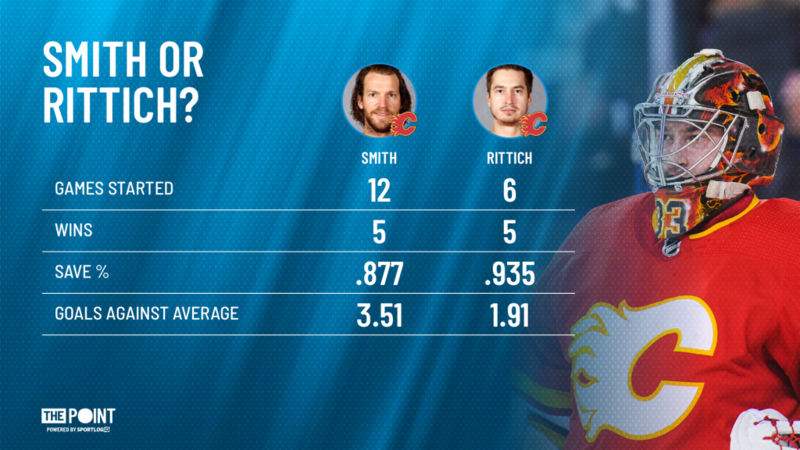 Smith, however, is currently posting career-worst numbers while Rittich is doing just the opposite and playing the best hockey of his short career. The difference is massive, but let’s take a deeper look. 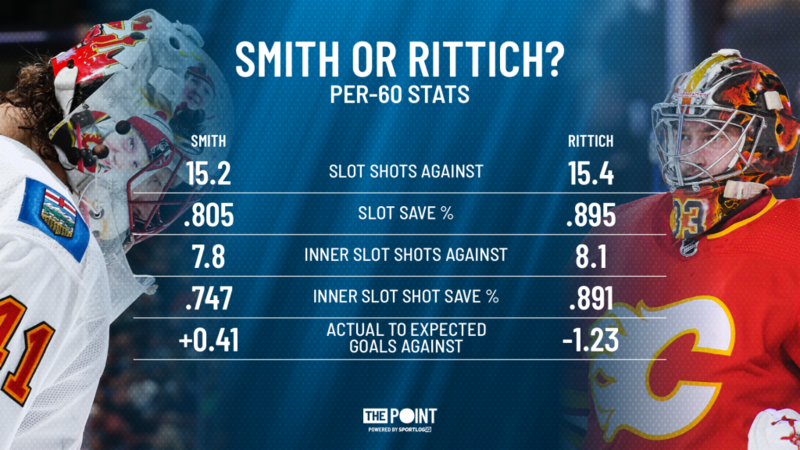 Do the Flames hang Mike Smith out to dry and tighten up for Rittich? Is Smith facing a barrage of high-danger shots? In a word: no. Not at all. In fact, Rittich actually faces slightly more high danger shots per 60 minutes compared to Smith. And the differences in save percentages are just as massive. The key in this previous graphic is the very last number, actual to expected goals against. Smith’s positive number means he is costing his team nearly half a goal per game compared to league average goaltending while Rittich saves his team over a goal per game. Maybe it’s Mike Smith’s age finally showing (he is the 5th oldest goalie in the league at 37-years old) or maybe it’s just an early season slump, but as of now, there’s should be little doubt as to which goalie gives the Flames the best chance of winning on a nightly basis.